- the preservation of knowledge and practices of indigenous communities. Mercenary minefield The us , a key Northern player, had wanted a purely conservationist treaty. President George Bush refused to sign the cbd at the 1992 Rio Summit and rejected the cbd treaty on the grounds that it made too many concessions to the South. The powerful us industry felt it was "highway robbery that a Third World country should have the right to a protected invention simply because it supplied a bug or a plant or an animal in the first place". Despite not having ratified the convention as yet, the us continues to dictate terms and influence cbd proceedings by proxy through countries such as Australia, Canada and the uk . Most recently, it tried to sabotage a protocol on biosafety to regulate trade in genetically modified organisms ( gmo s) with a liability clause in case of any accidents. The us prefers the World Trade Organisation ( wto )platform for settling disputes concerning gmo s as the wto would be more sympathetic to its commercial interests. A biosafety protocol, which regulates trade in gmo s, was eventually signed in January 2000. 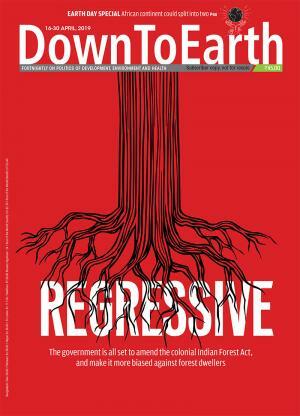 Meanwhile, despite a treaty that recognises the rights of communities, developing countries have yet to perfect a model for benefit sharing or even implement national legislation to prevent 'biopiracy'. Due to the lack of an intellectual property rights system that recognises the knowledge of communities, Northern corporations claim ownership over Southern biodiversity with impunity. Challenges ahead The twin challenges facing cbd are sustainable utilisation and conservation. - Southern nations need legislation to tackle biopiracy, to document the knowledge of indigenous communities and to establish systems of benefit-sharing. 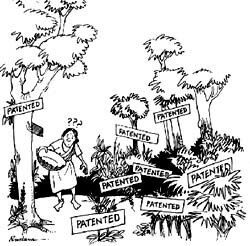 - International intellectual property rights systems should recognise the rights of communities to traditional knowledge. -related disputes, without resorting to other forums such as wto , is needed. Eighty per cent of the world's biological resources exist in the forests of the South. The North wants unrestricted access to this biodiversity as it is fodder for their pharmaceutical and biotechnology companies. Most big companies are based in the US, where the retail value of drugs derived from plants by pharmaceutical companies is approximately US $43 billion a year. Unless tropical deforestation is slowed immediately, about 60,000 of the world's 240,000 plant species could become extinct by the year 2020. Meanwhile, indigenous communities rarely profit from the use of their biodiversity or the traditional knowledge associated with it.